With the Google AdWords integration you'll be able to add a remarketing pixel to your Qwilr Pages and then target those viewers with advertising via the Google AdWords platform. Step 1: Head to Account Settings → Integrations and click on Google AdWords. Step 3: Head to your AdWords account and copy your AdWords Customer ID. You can find some help around AdWords here. 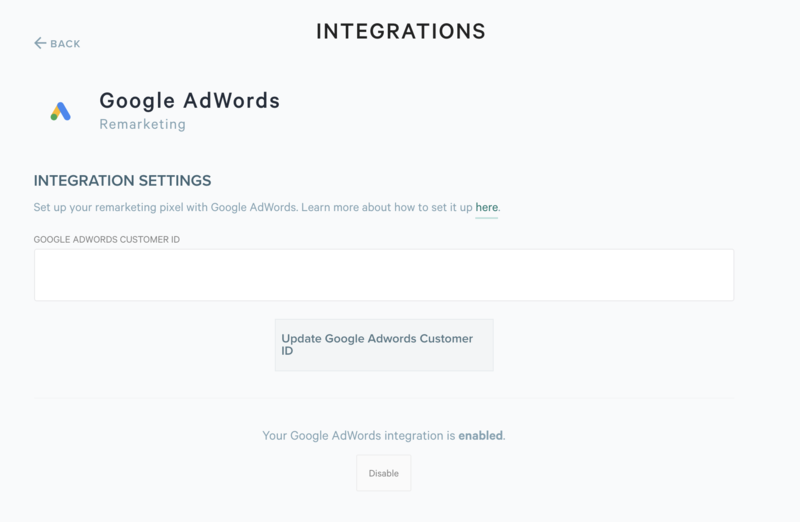 Step 4: Paste that into your integration settings and click Update AdWords Settings. As soon as you've enabled the integration Qwilr will start automatically adding your pixel to any pages. You won't need to do anything to manually add the pixel on a per page basis. From there you'll start using that data sent to Google AdWords to market directly to clients who have viewed your Qwilr Pages.